Mothers Day is this Sunday, and my personal goal for my second time celebrating this day as a mom myself is to have pretty, shiny, pink toenails. I got a pedicure a few weeks before Charlotte was born and I am looooong overdue for a new one. My pink toenails are chippy, and that's only cute on distressed vintage cabinets. Not nails. So, anything else is icing on the cake (I mean, a family brunch on Sunday would be pretty sweet -- but I don't want to get too greedy now), but as long as I get a moment to give myself a pedicure, I will be one happy girl. Happy Mothers Day, and for those of you who are not yet mothers but who are wishing desperately to be, my heart is with you. I've included the links to these Amazon Prime eligible items below if you still need a few gifts and are in a pinch on time. Love, love, love free two-day shipping. It has gotten me out of a pickle plenty of times! 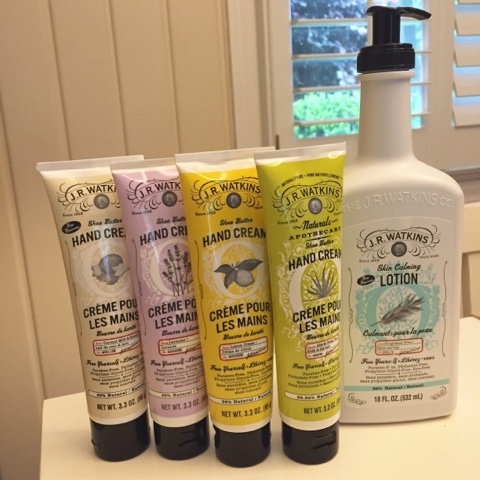 Also, I was sent the most amazing hand creams and a lotion recently to try out as part of the J.R. Watkins #MothersHands campaign. J.R. Watkins really knocked it out of the park with their scented hand creams. Out of the lavender, aloe & green tea, coconut milk & honey, and lemon cream scents, I think my very favorite is the aloe & green tea. It's so fresh and herbal smelling! The pump lotion is fragrance free. Ian and I always keep a pump lotion on our bathroom sink next to the hand lotion. It's a daily reminder to hydrate our skin out of the shower. Ian's skin is more sensitive than mine, so this fragrance free lotion is perfect (plus, what man wants to run around smelling like a delicate gardenia all day?!). You can check these out on the J.R. Watkins website and see what other products they offer. The body washes look really heavenly to me. This company has been crafting products naturally for 148 years ... bravo to that! I love that Ballet Slippers polish! It's the perfect shade of pale pink. I wore it just last week! I love JR Watkins lotions, I had the lemon verbena a while back, it smelled so good! Love that you picked Amazon Prime options for us procrastinators! 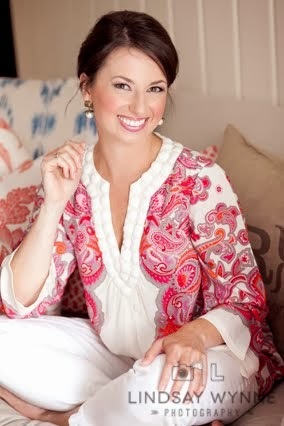 Also, you captured my heart when you shouted out to those women that are trying desperately to become mamas! Gosh we must get a Prime account soon!! All such great ideas!! I love getting pedicures. I just got one since I can't reach my toes anymore (35 weeks along over here). Camille's 2nd Birthday Party: SWEETS!